Welcome to our event listings! 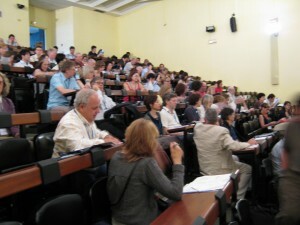 There are events taking place all over the world that bridge neuroscience and psychoanalysis. We list events that are sponsored by the Neuropsychoanalysis Association, including the annual congress of the International Neuropsychoanalysis Society, meetings of the Pfeffer Center for Neuropsychoanalysis in New York City, and meetings of our regional groups. In addition, we share information about other events that may be of interest to our members and friends. If you are hosting a conference or other event that advances the neuropsychoanalytic dialogue, please send us your event info at info@npsa-association.org. You can see all upcoming events, or events listed by region or type, by clicking in the menu at the right.